In 1348, King Pedro IV of Aragón ordered the construction of a sanctuary on the summit of the 510 metre Puig de Sant Salvador in south east Mallorca. Thanks to pirate attacks and other deprivations, the original buildings are long gone, and the structures there today are largely from the Baroque period. 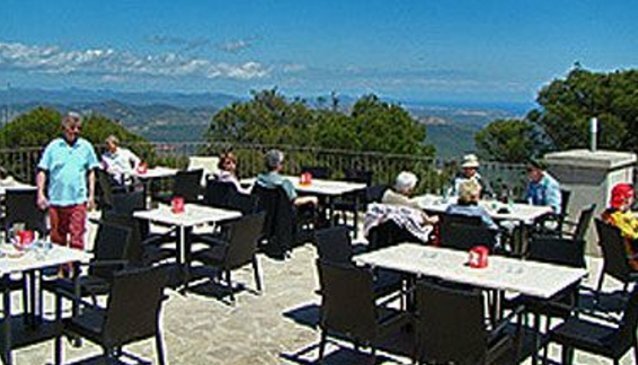 The monks left about 20 years ago and one wing of the monastery complex has been transformed into a small hostal/hotel with stunning views to the sea and mountains. It's a quiet and calm place, perfect for single travellers or couples who want to relax, or as a well positioned base for touring this fascinating island.